Flowers by Gary proudly serves the Durham area. Gary Corsi-OConnor is an award winning, North Carolina Certified Professional Florist through the North Carolina State Florist Association, of which he has served as a Member of it’s Board of Directors and is a Past Prsident. Michael Corsi-OConnor is a Certified Professional Florist through the Floral Design Institute in Oregon and and the American Institute of Floral Designers (AIFD). They are both members of the Society of American Florists. Flowers by Gary is committed to offering only the finest custom designed arrangements and gifts, backed by exemplary customer service that is friendly and prompt. Because all of our customers are important, our professional staff at Flowers by Gary is dedicated to making your experience a pleasant one. That is why we go the extra mile to make your floral gift perfect. Follow us on Facebook, Wedding Wire and Instagram. 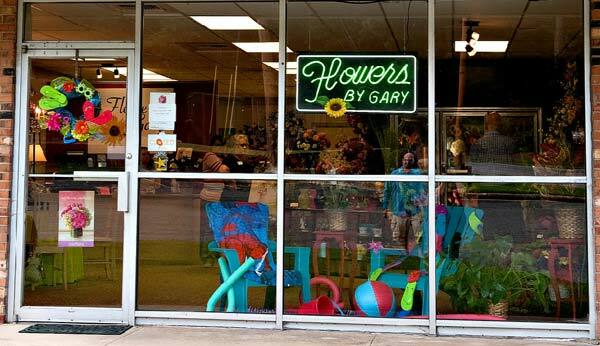 Let family owned, local florist, Flowers by Gary be your FIRST choice for flowers for any occasion. We send flowers anywhere. *Our shop is open from 9:00 a.m. to 5:00 p.m., Monday through Friday and from 10:00 a.m. to 12:00 p.m. on Saturday. We are closed on Sundays. Our summer hours June 1 - Sept 3 are Mon through Fri 9:00am-4:00pm, Sat 10:00am - 12:00pm. We are closed on Sundays. To help assure on-time delivery during the busy holiday season, place your order at least 1 day prior to the following major holidays: Veteran's Day, Thanksgiving Day, Christmas Day, New Year's Day, Valentine's Day, Easter, Administrative Professionals Week, Mother's Day, Memorial Day, Father's Day, Independence Day and Labor Day. Our shop will always be closed on the following holidays: Thanksgiving Day, Christmas Eve, Christmas Day, New Year's Eve, New Year's Day, Easter, Mother's Day, Memorial Day, Father's Day, Independence Day, and Labor Day. Durham, Bahama and parts of Rougemont. 27701, 27702, 27710, 27706, 27707, 27503, 27722, 27704, 27572, 27717, 27703, 27715, 27708, 27705, 27713, 27711, 27709, 27712. If you have any questions or need more information, please contact us by e-mail at GaryFlowersbyGary@gmail.com, or MichaelFlowersbyGary@gmail.com or call us directly at (919) 471-1566. We're always here to serve you and make your flower-sending experience a pleasure. U.S. orders must be received before 1:00 p.m. Monday - Friday & 11:00 a.m. on Saturday, in the recipient's time zone to assure same-day delivery. Orders received after that time will be delivered the following business day. Flowers by Gary will fulfill the order as closely as possible to your selection depending on availability of inventory. If the exact flowers or container you have selected are not available, we will substitute only items of equal or higher value to create an arrangement with the freshest available flowers.